This website is designed to be a platform for delivering historical context for classic literature in an interesting and interactive manner. It focuses on texts commonly taught in high school, but is accessible to any age group. The goal is to make learning about classic literature more engaging and enjoyable for students who may struggle to connect with the books. Context is delivered via an interactive illustrated scene - clicking on items in the room brings up more info about them, an interactive timeline - hovering over an icon causes text about the event to display, a Google-powered map containing book locations, and a brief author bio. 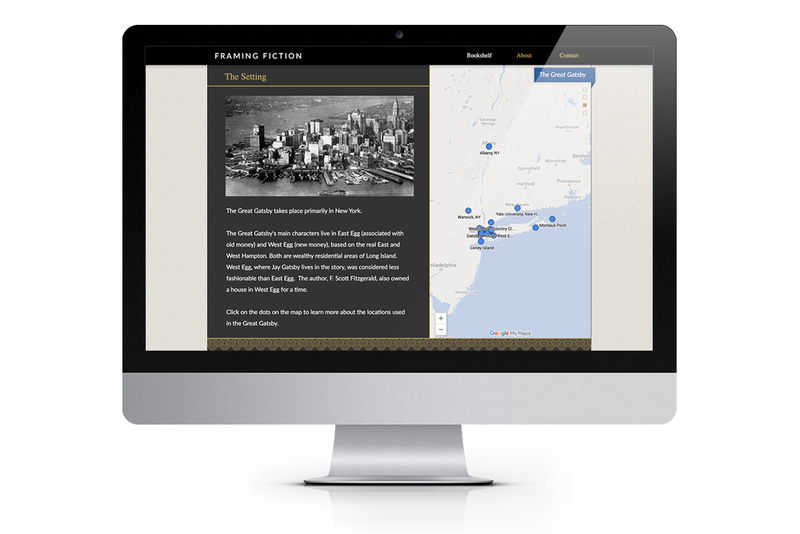 To experience the website firsthand, visit www.framingfiction.com. 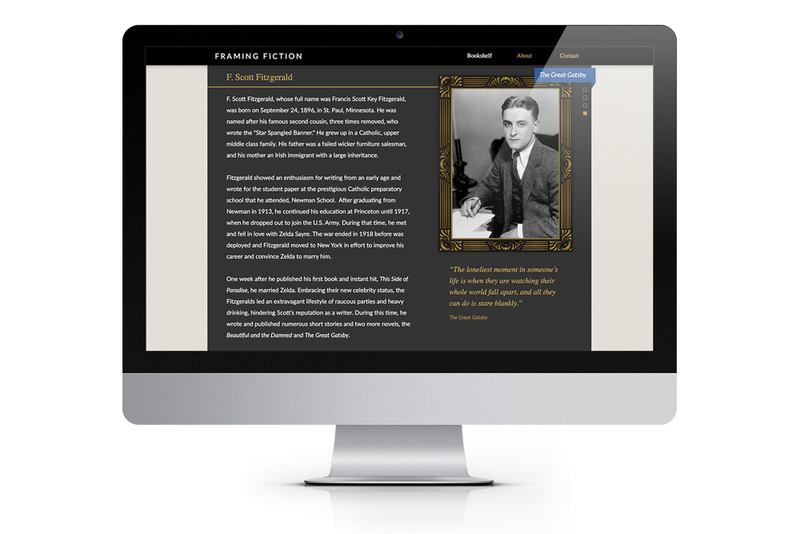 A passion project and work in progress, the only book page that is currently functional is the Great Gatsby. The 1920s photographs (public domain) and book covers are copyright their respective creators. Everything else in the site, including illustrations, photography, interactions, layouts, etc., are of my own design.